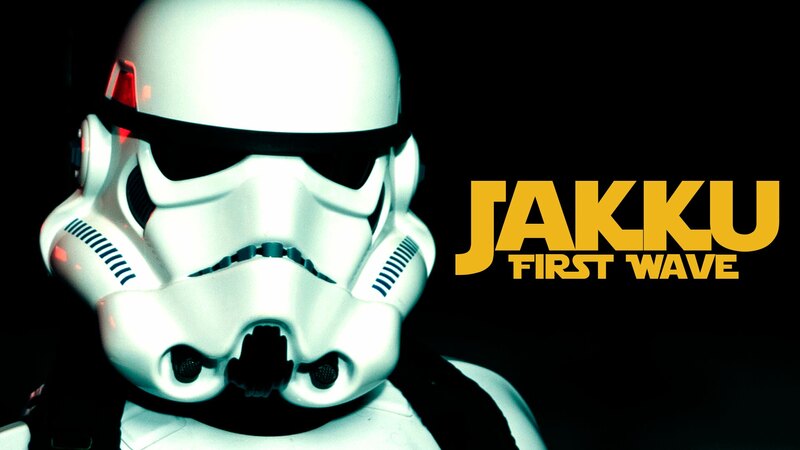 Star Wars Fan Film 'Jakku: First Wave' Reveals The Humanity Behind Stormtroopers - Are You Screening? One of the things that has made Star Wars Rebels such an interesting part of the franchise is that it often delivers a slice of the day-to-day around the galaxy, and while Star Wars fan films are legion, there’s a new one that does something of the same… only with Stormtroopers. As the reel will tell you at the outset, a lot of Stormtroopers are about to get slaughtered, and as the transport vehicle approaches its offload point, we get inside the heads of a few of the men behind the iconic helmets. What might easily be the syrup scene from any war film you’ve ever seen turns into something very different when we focus on the aim-challenged fodder from film’s most beloved franchise. There’s something a little off-putting in the end, as you get sucked into the yarn about the brother who was excited to get on the shuttle to the Death Star, because you watched so many of them get slaughtered over the years, and you just didn’t think about them, or any perspective but your own, did you?! For God’s sake, he just wanted to wear the armor. The short features Joseph Bearor, Aaron Goddard, and Tyler Wolfe, and is brought to you by Benjamin Eck (Good Mythical Morning). Take a look above, and share the hell out of this thing.